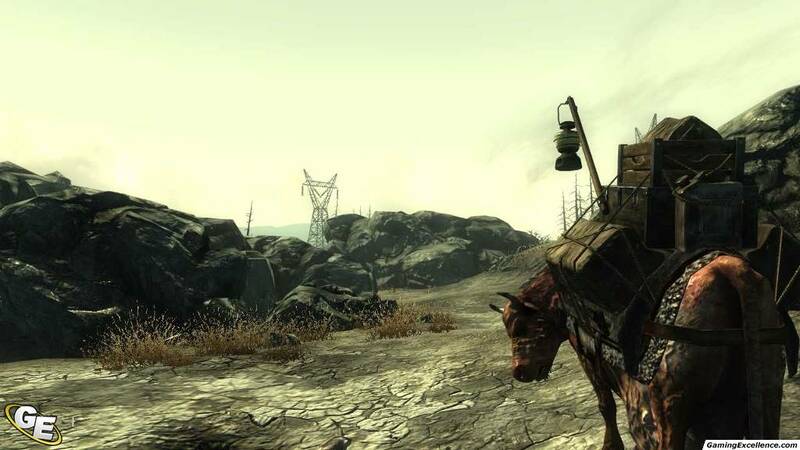 Experience Fallout like one never thought possible. 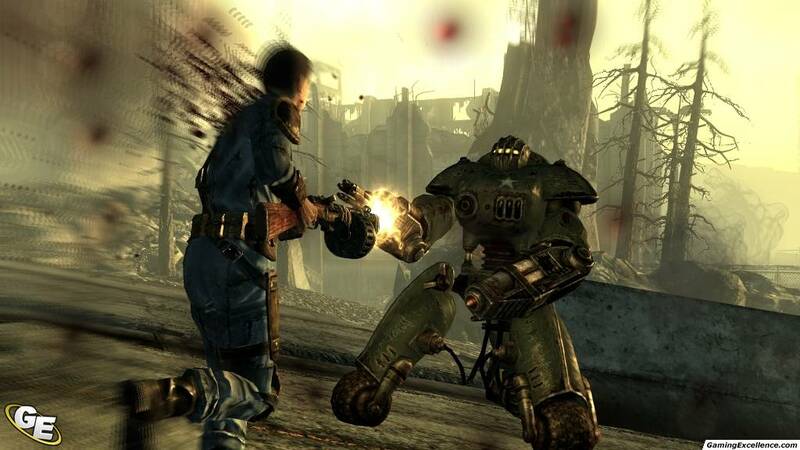 Engaging storyline; V.A.T.S combat system is highly entertaining; extreme amounts of gore; large variety of side quests add to the replay value; excellent RPG elements. Main quest is very short; animations feel lifeless; occasional crash bugs. 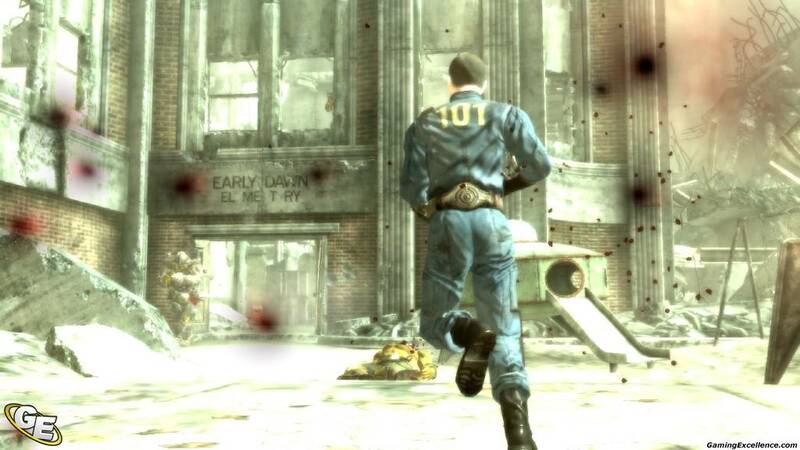 It's been a decade since the last Fallout release, and a lot has happened since then. 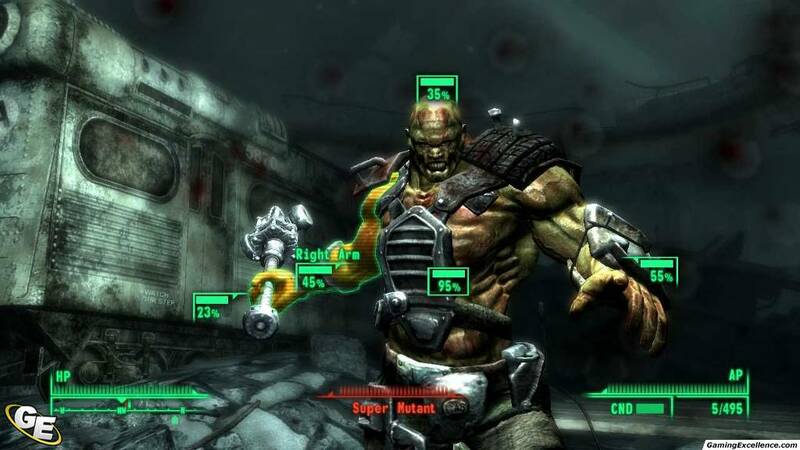 In 2004, Interplay shut down, leaving many fans thinking the Fallout franchise could be gone forever. 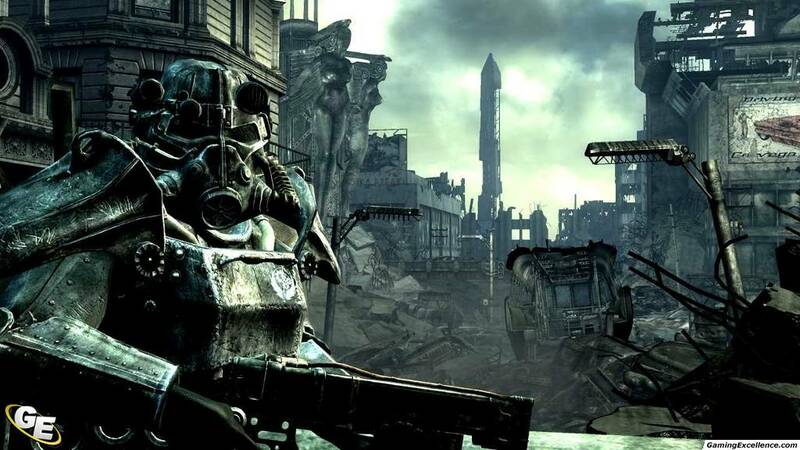 With the formal sale of the Fallout IP to Bethesda last year, the franchise was reborn and the next generation of the Fallout series is finally here. The real question is with all the fanfare; can it live up to the hefty expectations and rekindle the fond memories that so many of us have from so long ago? 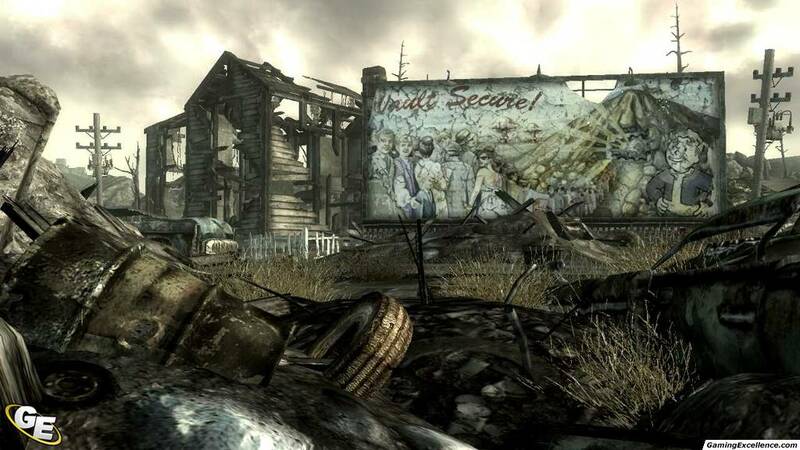 Fallout 3 takes place roughly two-hundred years after a nuclear war devastated the planet. 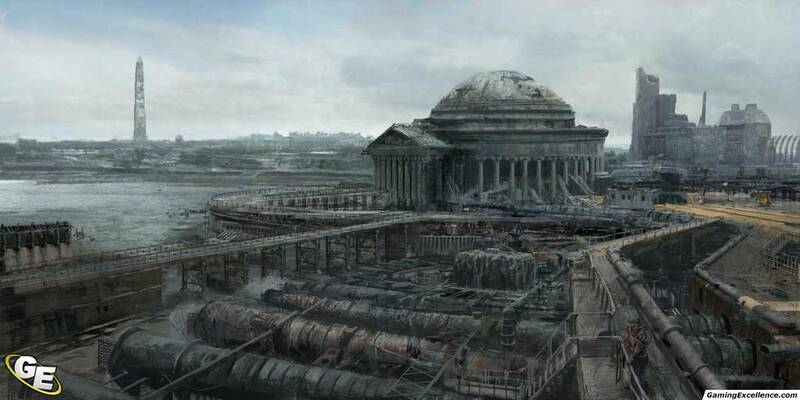 While the series originally started in Southern California, this time around you'll find yourself in a post-apocalyptic Washington D.C., better known as the Capital Wasteland. 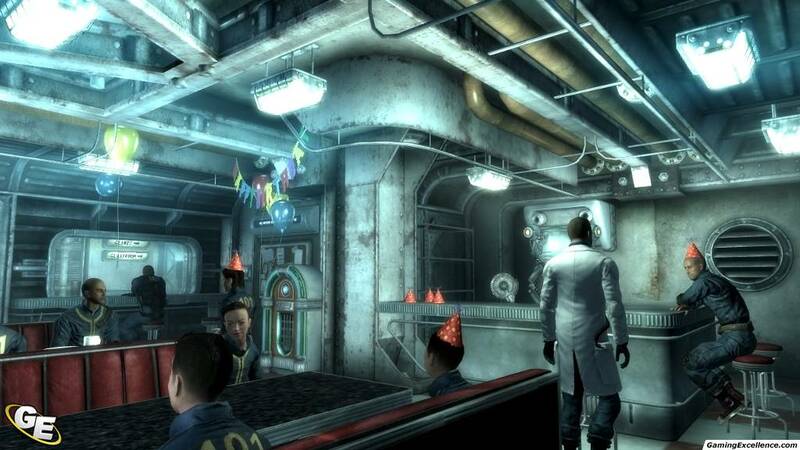 You are a resident of Vault 101, one of a series of fallout vaults built to protect its inhabitants from the harsh conditions in the wasteland. 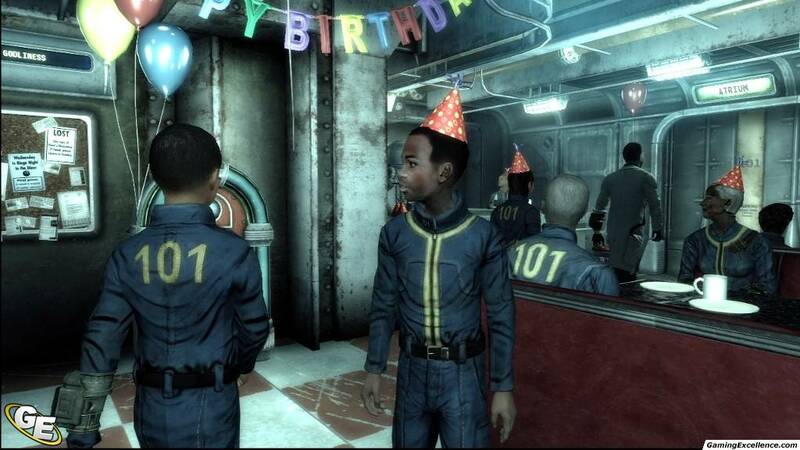 As the story goes, in Vault 101, nobody enters - and nobody leaves. 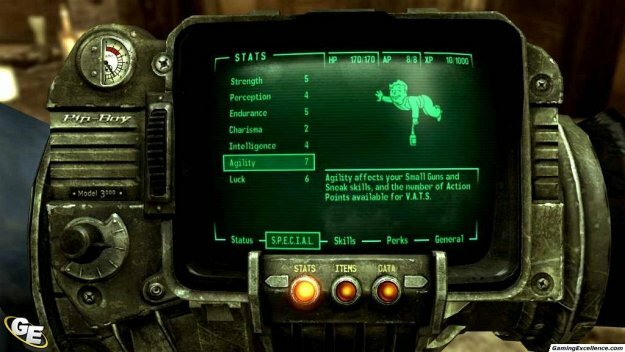 Raised as a child in the vault, the game begins with you as a young lad learning to take your first steps and continues as you grow older (this portion of the game is used as both a training mission and to build an affinity with your character). 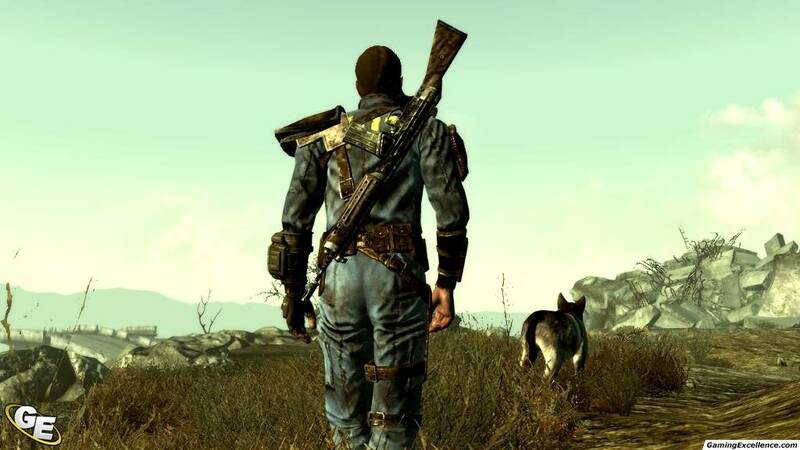 It isn't until you wake up one day to find the vault in chaos - your father has somehow left and it's up to you to follow him into the wasteland - where the story really begins. 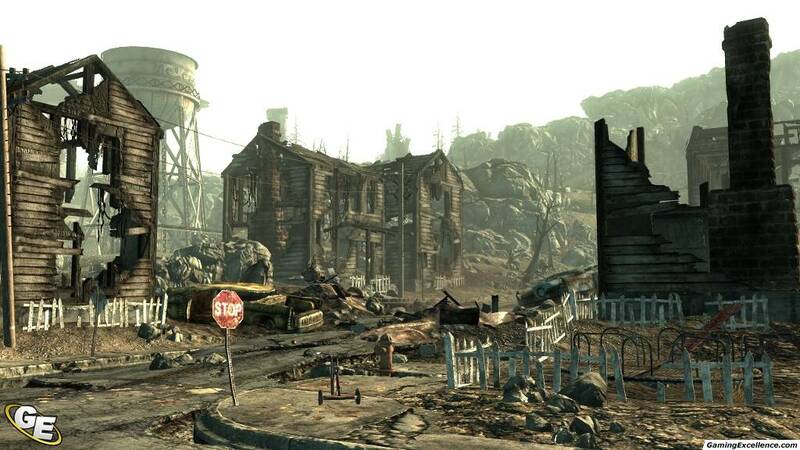 The Capital Wasteland is a harsh environment, littered with radiation and mutant foes. Raiding parties are common and extremely dangerous early on in the game. 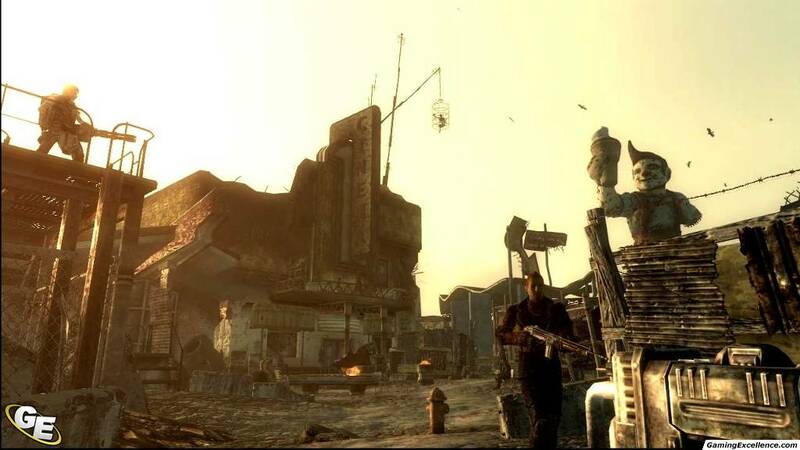 Much smaller than the world in Oblivion, the wasteland is densely packed with towns, abandoned cities, and various ruins from a world long ago. 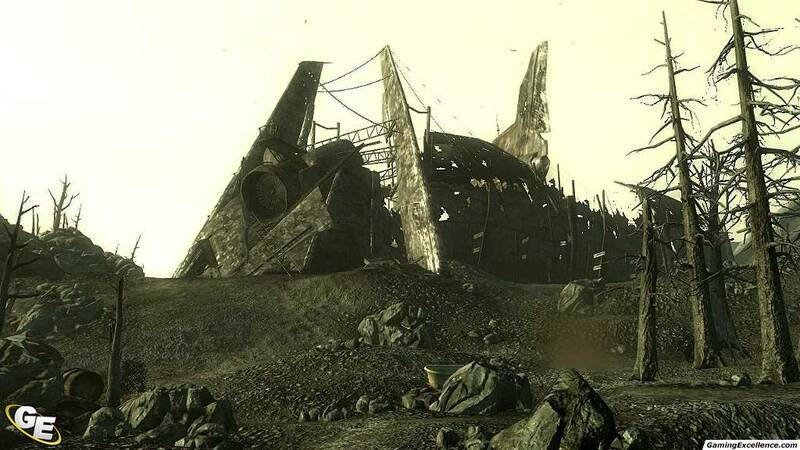 The developers have done a fantastic job in following the look and feel of past Fallout games; devastation and destruction are everywhere, land mines are prevalent, and the landscape is a constant reminder of what lurks in the shadows. 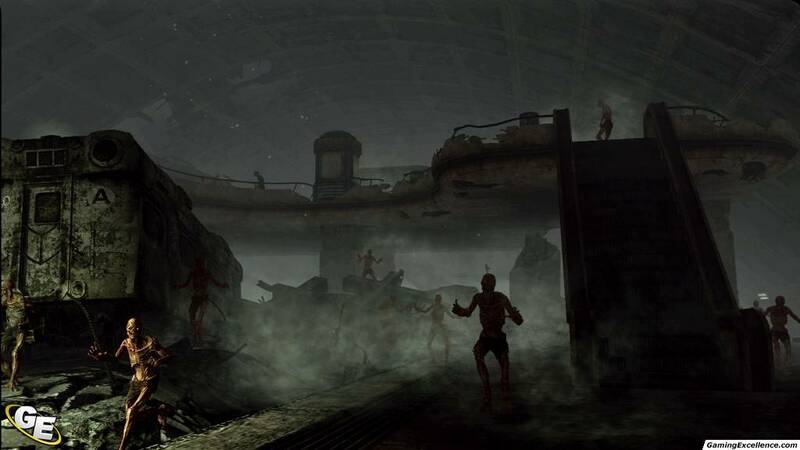 Many areas of the downtown D.C. area are inaccessible above ground: you'll have to travel through old, dark metro tunnels to reach these isolated areas. 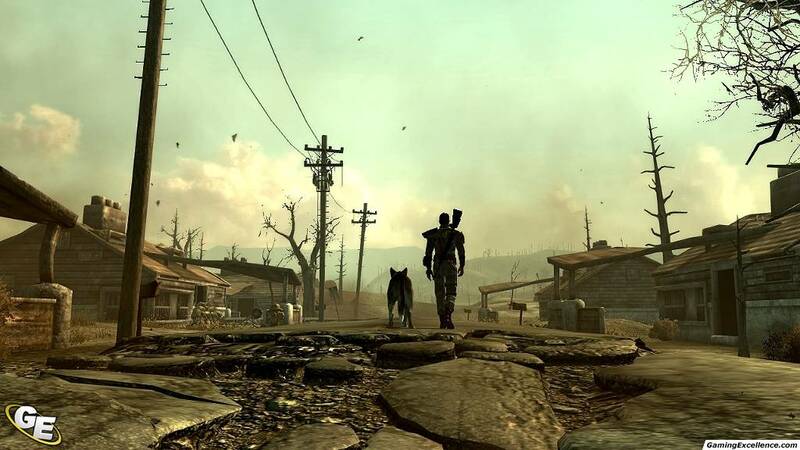 The main quest takes you throughout the Capital Wasteland in search of your father, to uncover why he left the vault, the secrets about your past, and discover a mission that could change humanity. 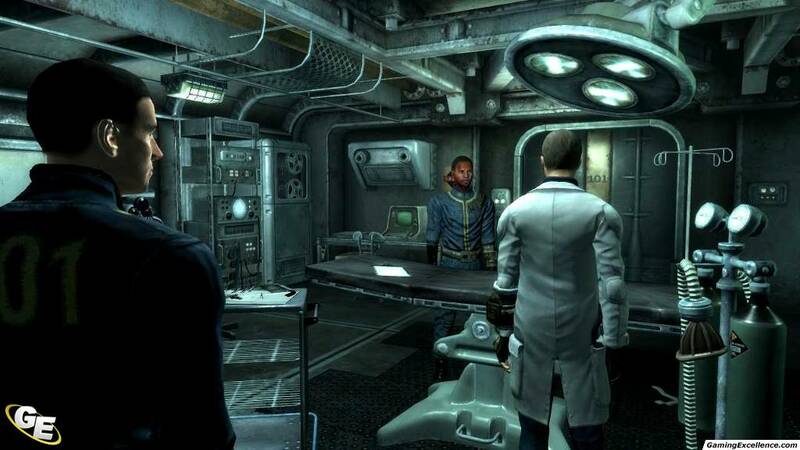 Along the way you'll interact with friends and foes from past games such as the Brotherhood of Steel, a self-governing group attempting to bring civilization back to the land, and the Enclave, a shadow government organization that believes in eradication for all mutants. 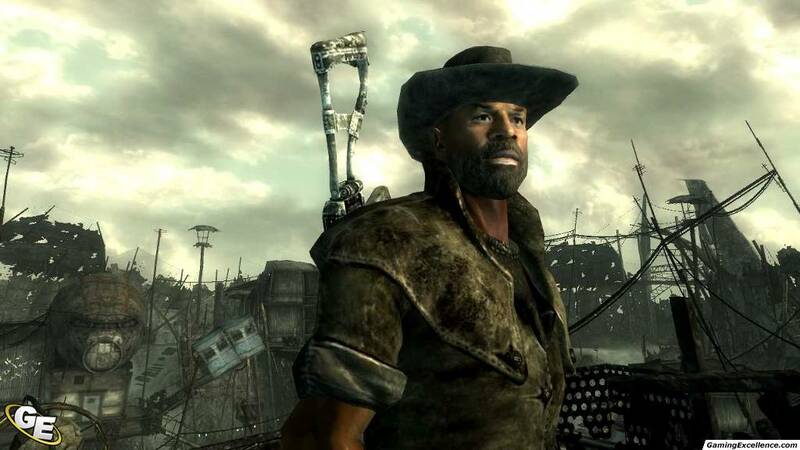 In all, the main quest really only explores a small portion of the Capital Wasteland. 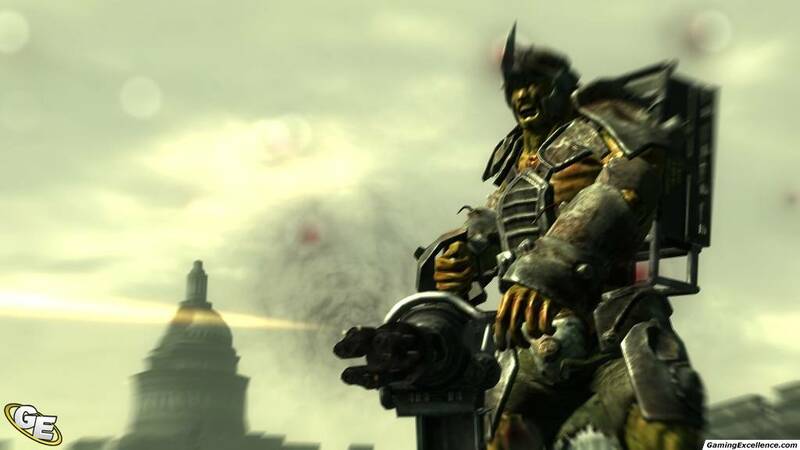 It's also surprisingly short (it could easily be completed in six to eight hours), and once you've finished it, unlike Oblivion, the game ends. 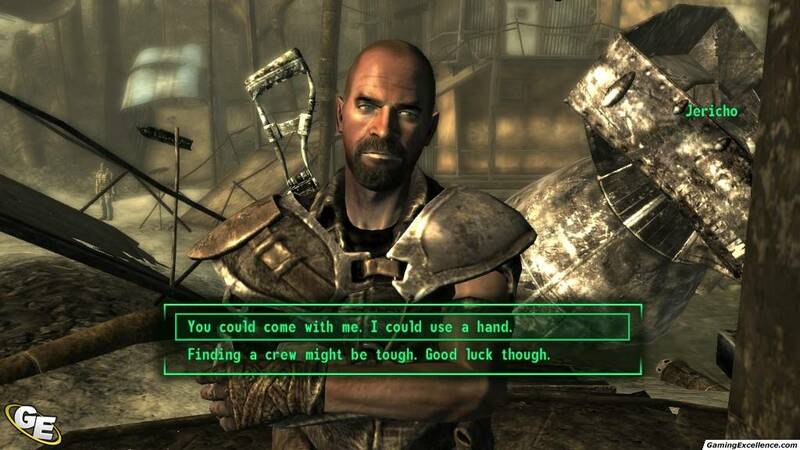 Fortunately, the last few missions are some of the most fun you'll have, and even after you're finished you can always go back to an earlier save and continue through the large number of side quests available. 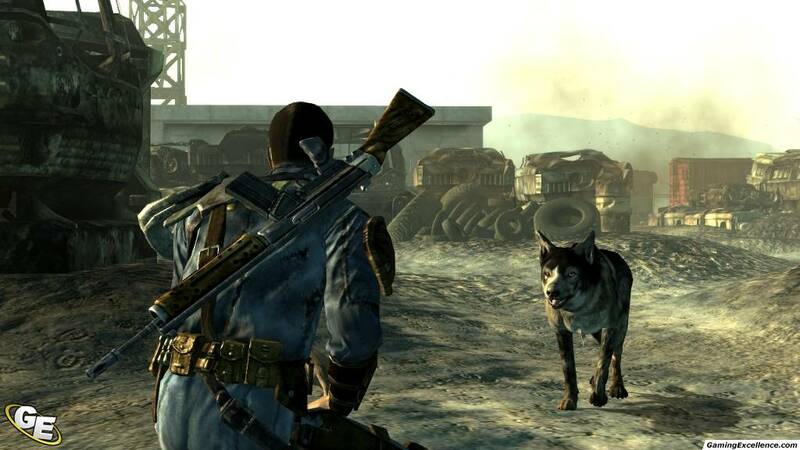 One of the most talked about features in Fallout 3 is V.A.T.S. - the Vault-Tec Assisted Targeting System, and it's slick. During combat, V.A.T.S .allows you to freeze frame the action, and enter a targeting mode to queue up attacks on your foes. 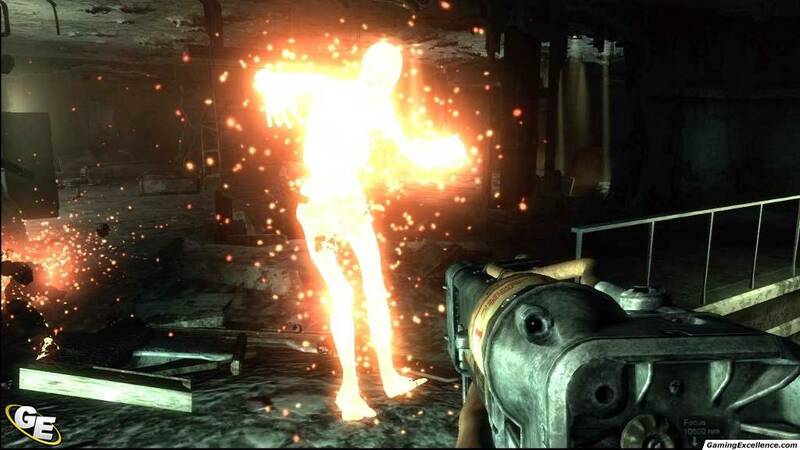 Given a certain number of action points, you're provided hit percentages on different parts of their body, and once activated the game enters a slow-motion cinematic perspective that shows the debilitating hits in gruesome detail. If you enjoy gore and lots of it - this is where you'll really have some fun. Once consumed, the action points will slowly replenish themselves. As such, V.A.T.S. really needs to be used sparingly to be most effective. 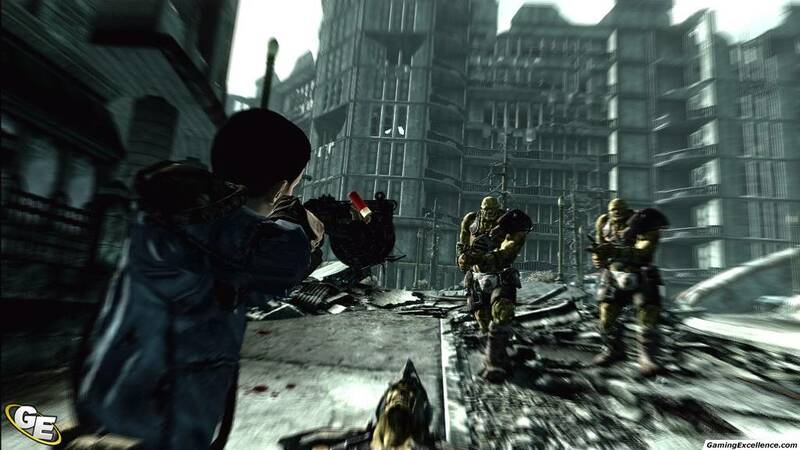 Outside of V.A.T.S., the real-time combat system is solid, albeit less predictable in terms of damage delivered. 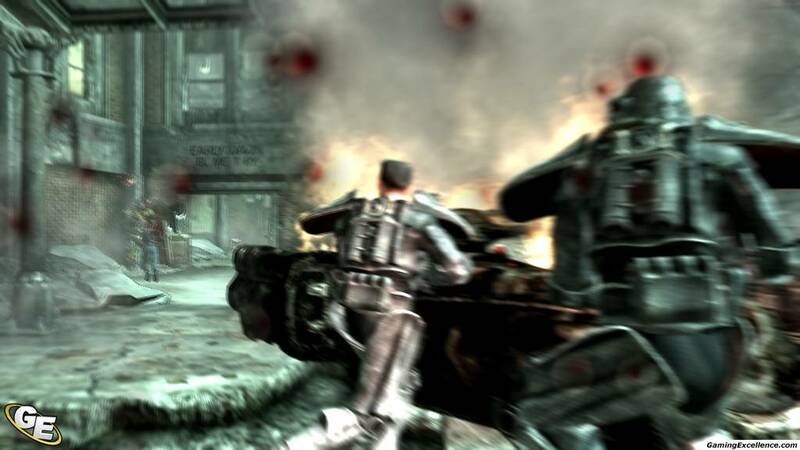 Third-person combat is a bit of a mess, and the game does offer a few cheap tactics (like the ability to run backwards at full speed), but all in all the combat system works. 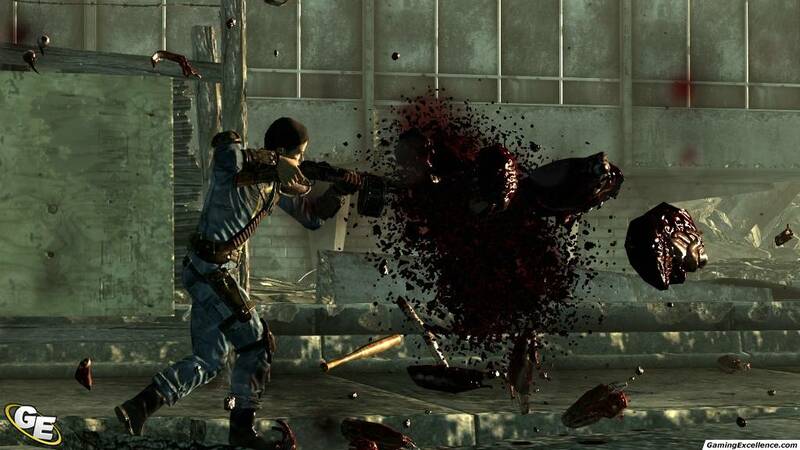 Besides, you'll never get tired of watching Super Mutants explode into a bloody pile of guts. 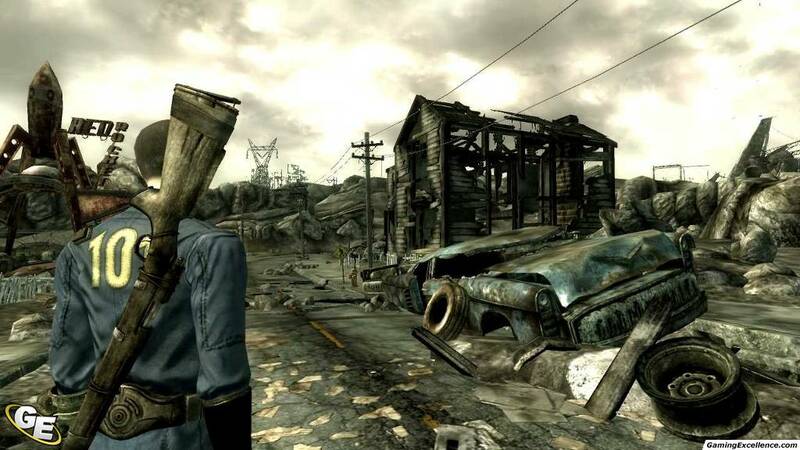 While parts of the wasteland and certain cities are practically free of radiation, many areas of the game are still heavily irradiated, notably the water sources. 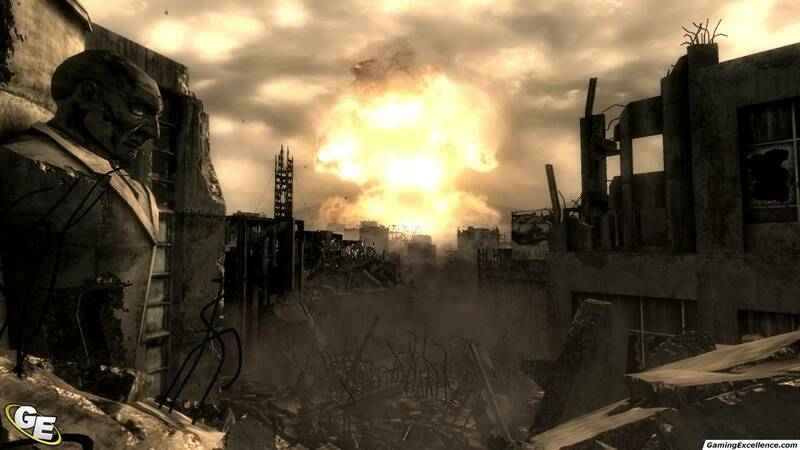 Radiation is a cumulative effect; as you're exposed you'll slowly become poisoned, increasing in levels until you reach a critical point (you know, that lovely thing we call radiation death). However, radiation exposure can be managed through the use of drugs: items like Rad-X helps to provide a temporary increased resistance, and RadAway is used to reduce your overall radiation level. 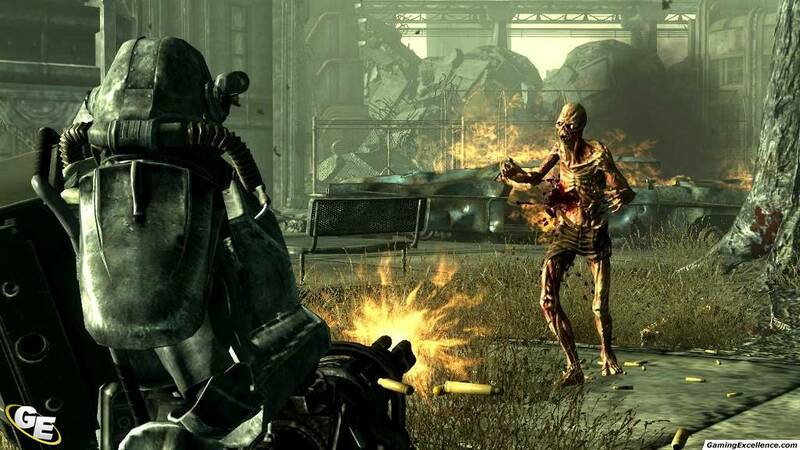 As you progress through the game, you'll rely on other drugs like Stimpacks, Jet, and Psycho to provide effects like health regeneration, additional action points, or damage modifiers. Just be careful not to become addicted, as you'll begin to feel withdrawal symptoms not long after addiction sets in. You'll make choices throughout the game that will affect your persona; you can choose if you want to play through the game as good, evil, or neutral character. Good deeds will result in positive karma, while evil acts (such as blowing up an entire city) will have you shunned as an evil character. 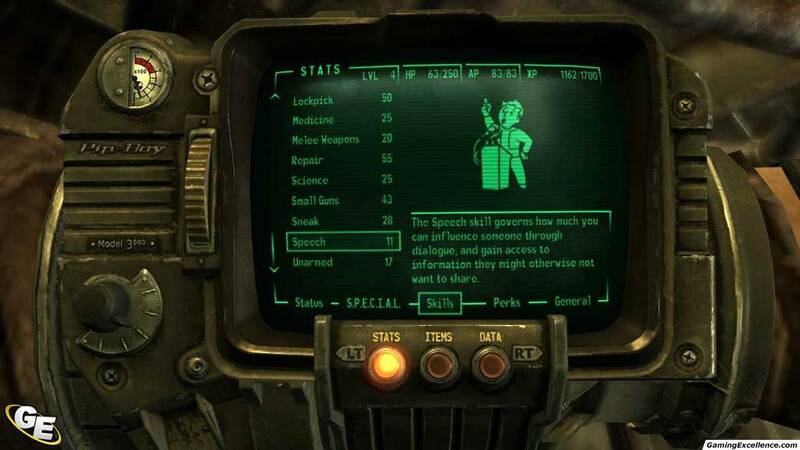 These personality traits will impact available quests and dialog options when speaking with NPC characters, and evil acts do have repercussions (such as being on the not-so-friendly end of a mercenary manhunt). 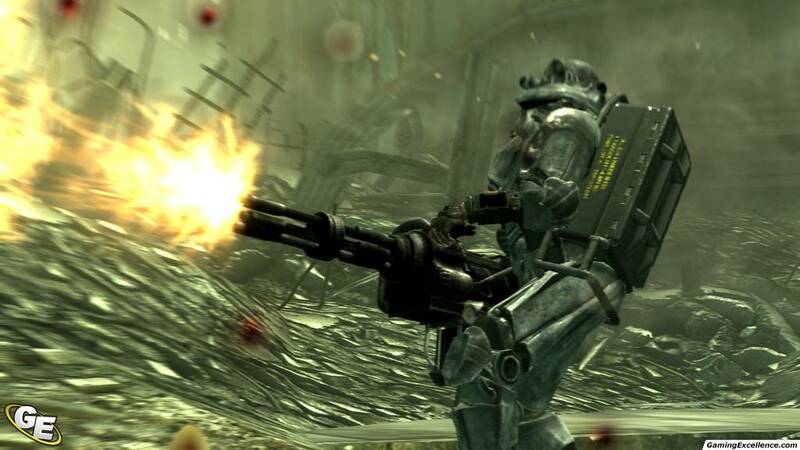 Fallout 3 is a role-playing game through and through, and its RPG elements are extremely well designed. Based off the S.P.E.C.I.A.L. role-playing system, points are allocated between the seven base attributes: Strength, Perception, Endurance, Charisma, Intelligence, Agility and Luck. You gain experience points through killing enemies, completing missions, and discovering new locations - the harder difficulty levels will award more XP per kill. Once you level up, you're able to allocate skill points between any number of skills such as barter, science, small guns, big guns, sneak, or melee weapons, just to name a few. 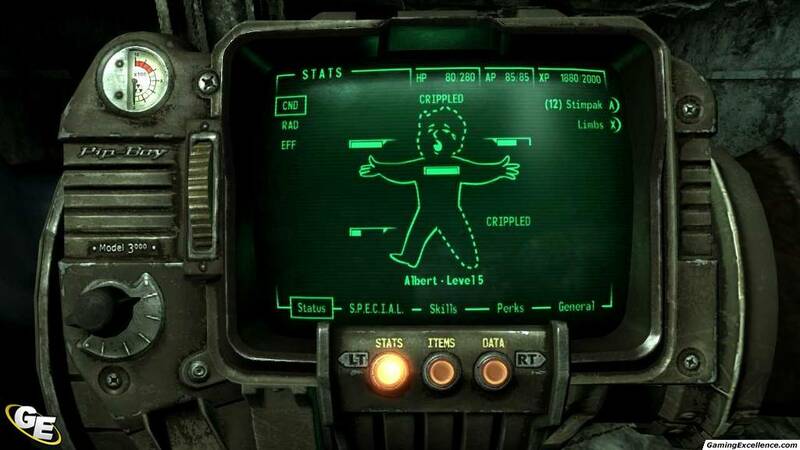 As well, with each level you'll get a chance to select a Perk, a permanent attribute that provides additional benefits. 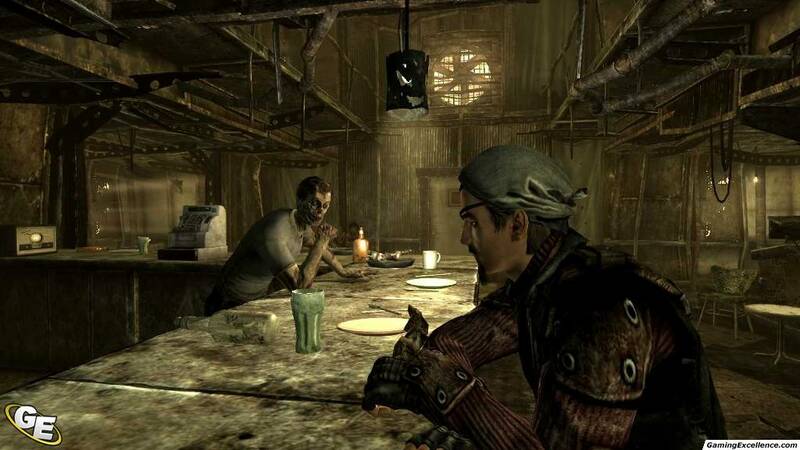 Selections like "Bloody Mess" which causes enemy corpses to occasionally explode upon death, "Cannibal", which allows you to feed off of dead humans to gain health (at the expense of karma), or various perks to increase your skill stats are just a few examples. The game doesn't really place a major emphasis on grinding for XP; given a level cap of 20 you'll hit it long before you've explored the entire wasteland. While this is a good thing in some ways, it'd be nice to be able to unlock some the extra perks once you hit the level cap without having to replay the game with a new character. 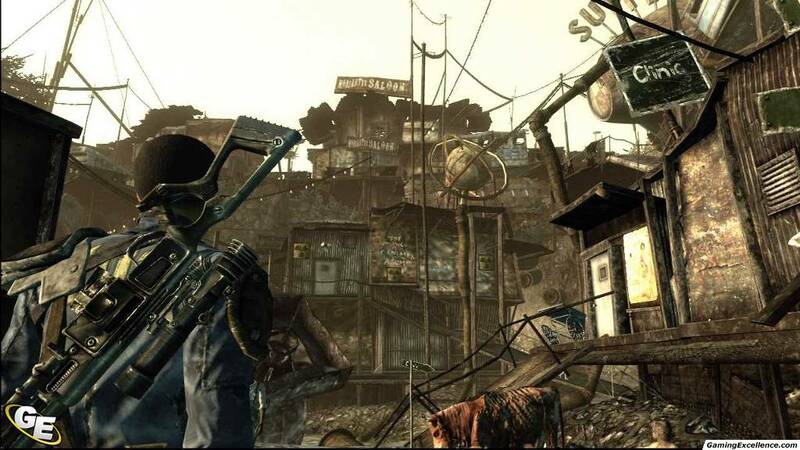 While the world of Fallout 3 is very open, unlike Oblivion you can't just wander anywhere and expect to survive early on in the game. One of the big complaints with Oblivion was the fact that the game never felt difficult enough, as enemies always leveled with you. 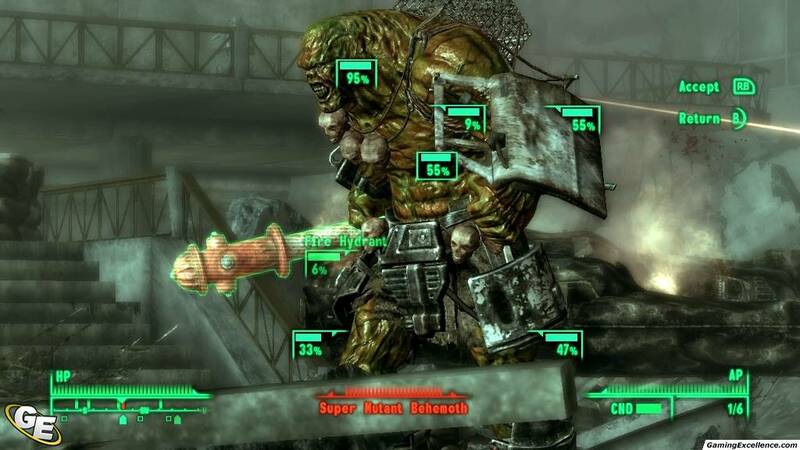 In fact, if you completed the main quest as a low-level character, you'd never get the opportunity to see some of the larger enemies in the Gates of Oblivion. 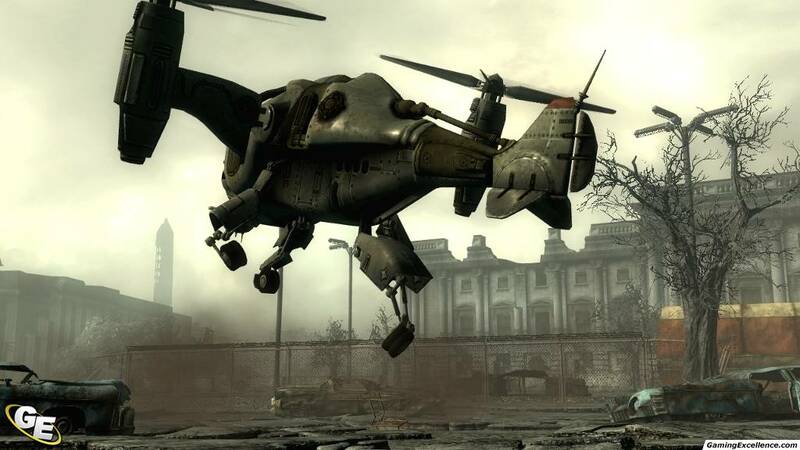 Fallout 3 does away with this system and implements a hybrid in its place, based on location and how early on in the game you explore each location, rather then enemy scaling. 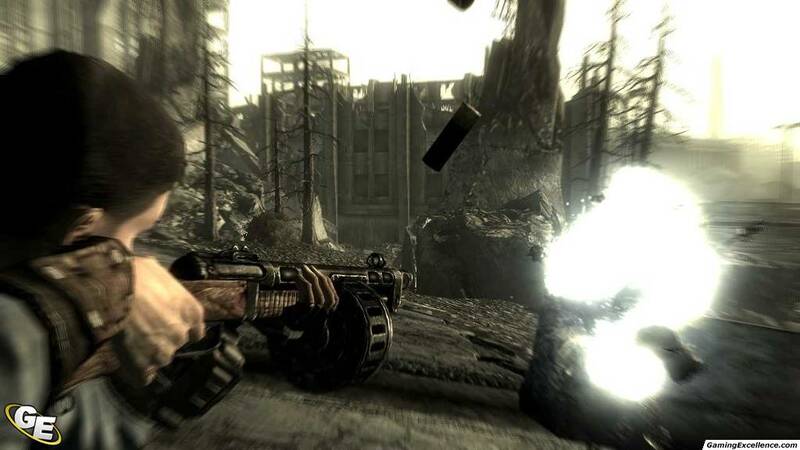 Visually, Fallout 3 is engrossing. 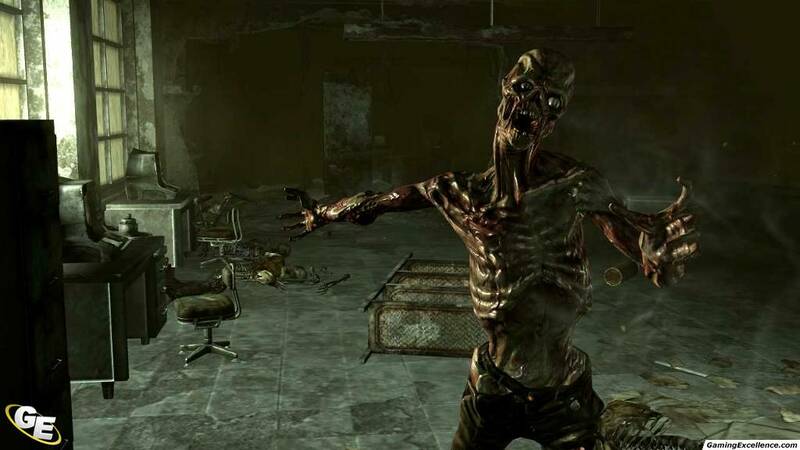 Bethesda has brought the world of Fallout to life, from the wasteland, to the derelict cities, to the decrepit underground tunnels. 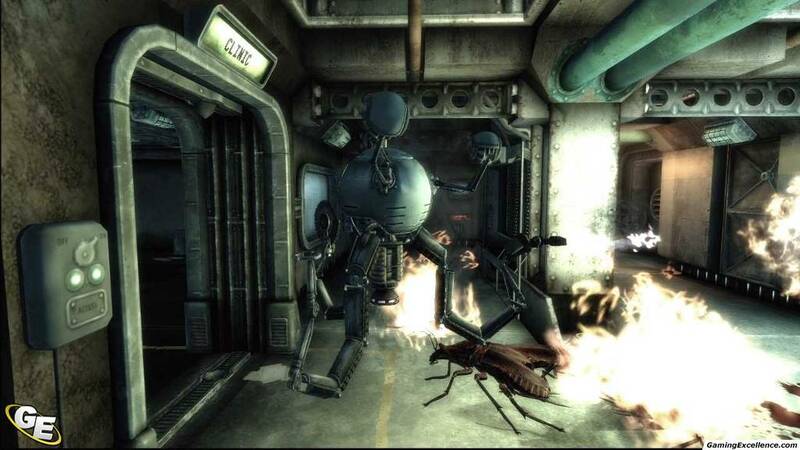 The cinematic use of V.A.T.S. 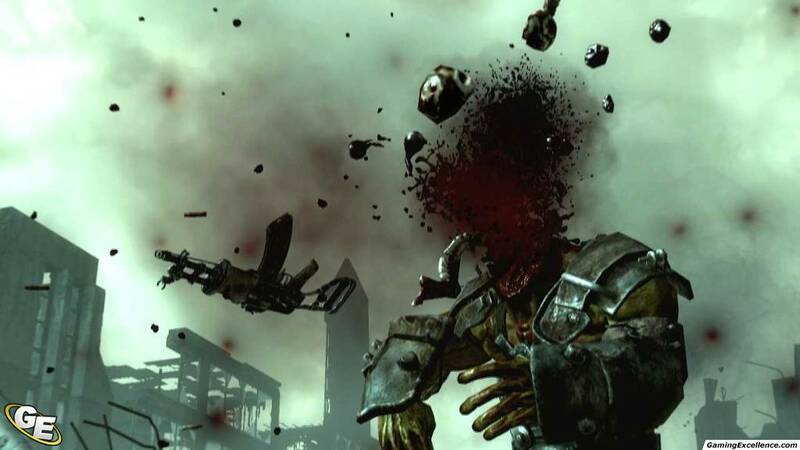 really demonstrates the graphical prowess of the game, and the gore factor is out of this world. Heads exploding, limbs flying off, and the blood and guts to match. Unfortunately, the same can't be said for the animations. The characters look almost lifeless when moving, especially in the third-person view, disappointing given the polish present on the other graphical elements. 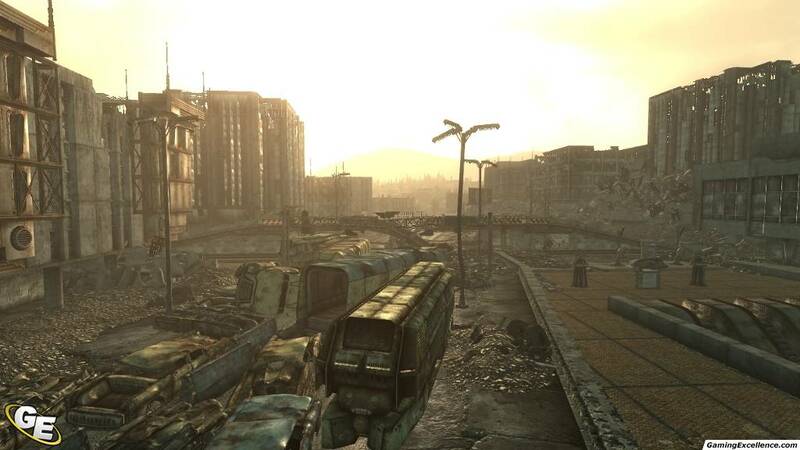 With the exception of the improved visual detail possible on higher end PC's, both the PC and console versions play similar, and it's really going to come down to a choice of preference as to what control scheme you prefer. All of the versions seem to suffer from the occasional crash bugs, and the PlayStation 3 version specifically has a nasty annoyance. Whenever a friend signs on or offline, for example, the game pauses momentarily. 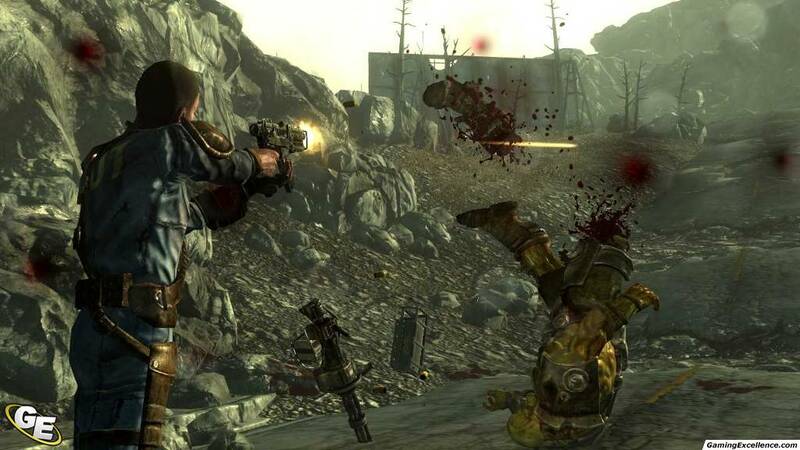 While it's mostly worthy of a frustrating sigh if it happens when wandering the wasteland, it's enough to do some serious damage if you're in the middle of a heated firefight. 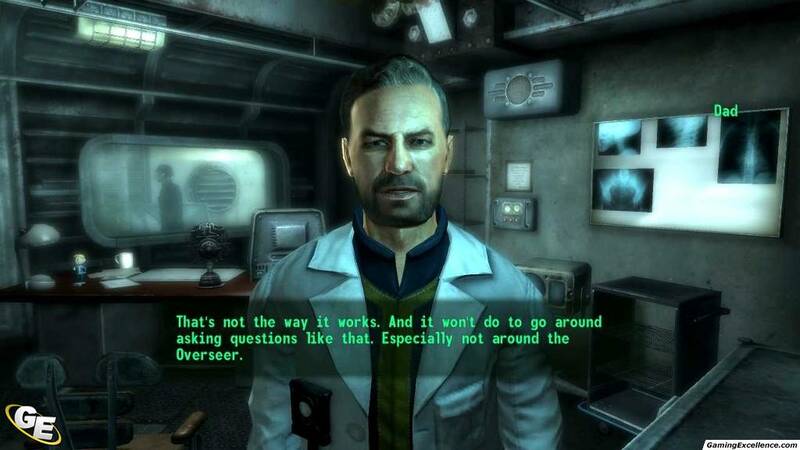 Fallout 3 has a massive amount of well-written and well-performed dialog. The amount of dialog available for NPC interaction is staggering, and yet never really feels tedious because of the creative writing. Sound effects are very good, and the rumble whenever new quests are given makes the entire room shake and sends a shiver down your spine. Background music plays softly and changes based on the pace of the game. Whether you're just wandering the wasteland or engaged in a firefight with a pack of Super Mutants, the background music matches the situation perfectly. 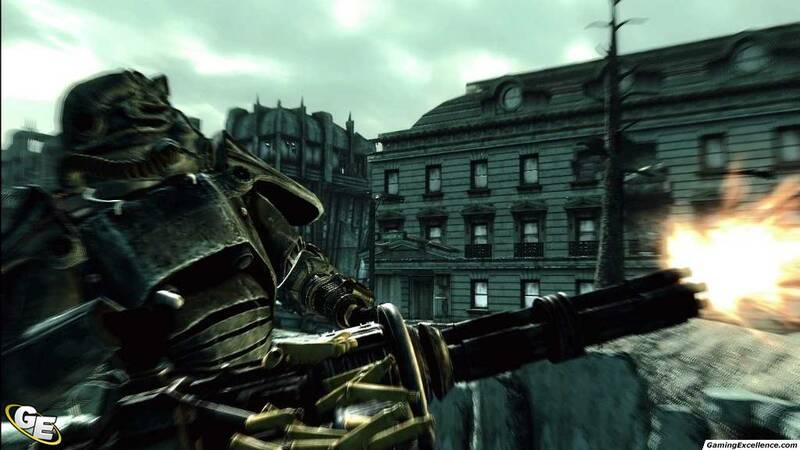 Fallout 3 is an experience in itself, and while it may not offer as much replay value as Oblivion, it's so much more then an "Oblivion with guns". 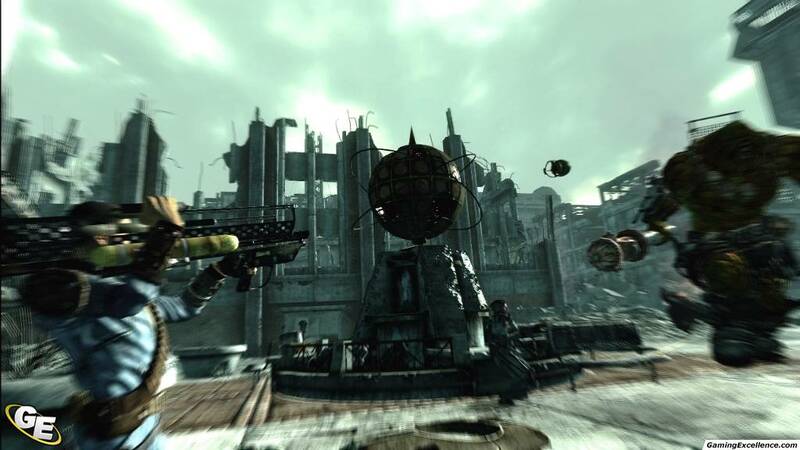 The game features the same humorous overtones as the other games in the series, and while the main story arc is short, Fallout 3 is a faithful extension to its predecessors. Taking on a cult franchise is a mammoth task, and in this case the expectations were incredibly high after following the masterpiece that is Oblivion. 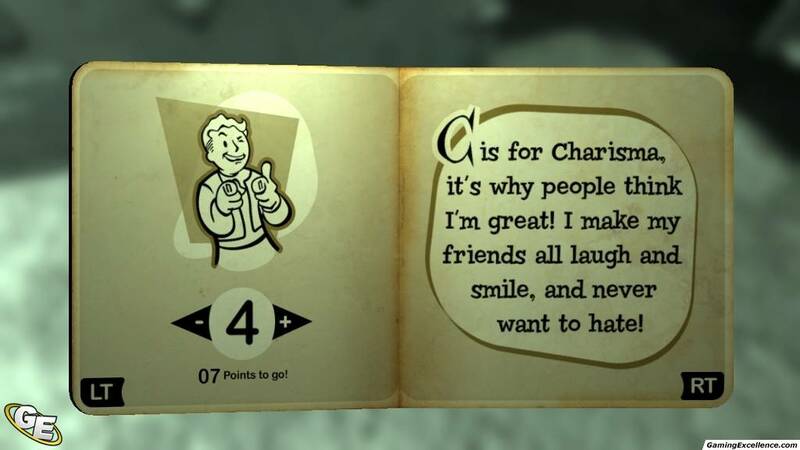 Fortunately, Fallout 3 eclipses almost every one of these incredible expectations. 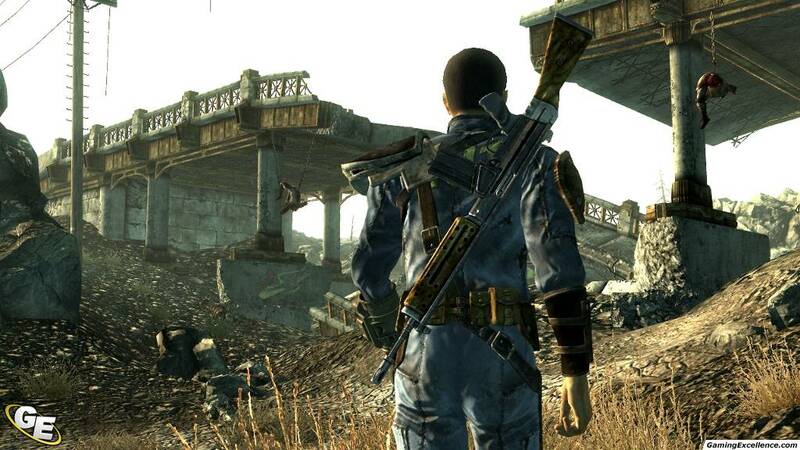 For any RPG fan, especially with roots in the franchise, Fallout 3 is a must buy. Just do yourself a favor and play this one in the dark.